I’ll admit it. At first glance, the vending machine industry doesn’t appear to be the most exciting one to start a small business in. That’s what I thought when I originally heard of the idea. The only time I noticed vending machines was when I was grabbing a snack in between meals, and even then I never thought about them as a business. That was until I started working for a vending company and realized how interesting of an industry it can be. So, I put together a list of 5 Things You Didn’t Know About the Vending Business. I think you’ll be surprised at what those machines you pass in the hallway can actually do. Yes. You read that right. 20 Billion, with a B. Those machines that you put a few quarters in can generate some big bucks. So much for small change not adding up. By purchasing or franchising multiple machines and putting them in the right locations, people have been able to form great small business in the vending industry. Yep. Still seeing it right. Remember, that’s only in the United States. Japan has nearly the same amount and so that’s ~8 million in just two countries alone. These things are everywhere. Whether you’re in a school, hospital, or DMV you’ll always have the chance to grab a quick snack. From crabs and full pizzas, to caviar, people have figured out a way to vend just about anything. It’s not just food anymore either. You can now buy electronics, books, safety supplies, and more from vending machines all around the world. The origin of vending is thought to have started around 215BCE in Egypt. The first patented vending machine sold stamps in 1857. The US started granting patents in 1896. As you can see, people have been in the “automated retail” space for a long time and it doesn’t seem to be going anywhere. The industry is constantly evolving and taking advantage of quick, on-the-go, convenient options. That’s a lot of snacking! The big push for healthier snacks in vending machines makes sense when you see these numbers. With 20 billion dollars in revenues, and selling this many drinks and snacks, vending machines are not only a great industry, but also a lucrative small business opportunity. Well now you know. Those vending machines you see lining the walls are serious business, and doing some incredible numbers. If you are ever interested in starting a vending machine business of your own, check out our Complete Guide on How to Start a Vending Machine Business. 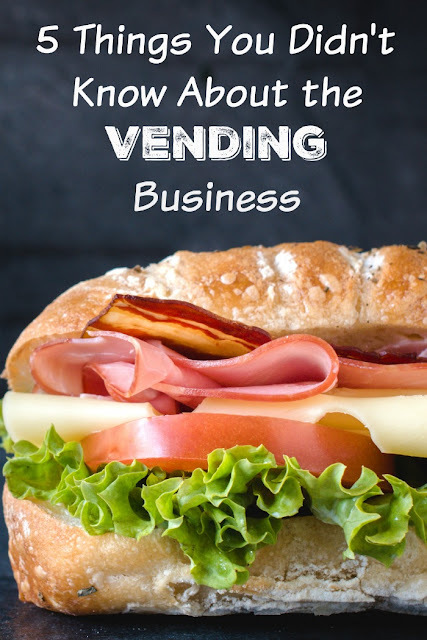 It will give you all the information you need to find out if the vending machine industry is the right small business opportunity for you. August is a marketing coordinator at H.U.M.A.N and SnackNation. He is working everyday to make healthy food more convenient for the masses. He is a proud graduate from the University of Minnesota, and small business owner. Contact August on LinkedIn here.